The journey has begun. Admittedly a few days late, but I have made it through the first three chapters of Matthew. This year certainly hasn’t started off as I had hoped, but that’s why I have you all on the journey with me…holding me accountable. During the first three chapters, Matthew spends a lot of time building Jesus’ credibility. Matthew almost seems like a lawyer setting up all the reasons we should believe him. He spends the first 17 verses of his Gospel detailing Jesus’ lineage so we will be reminded of what an important role his ancestors have played in the work of God. 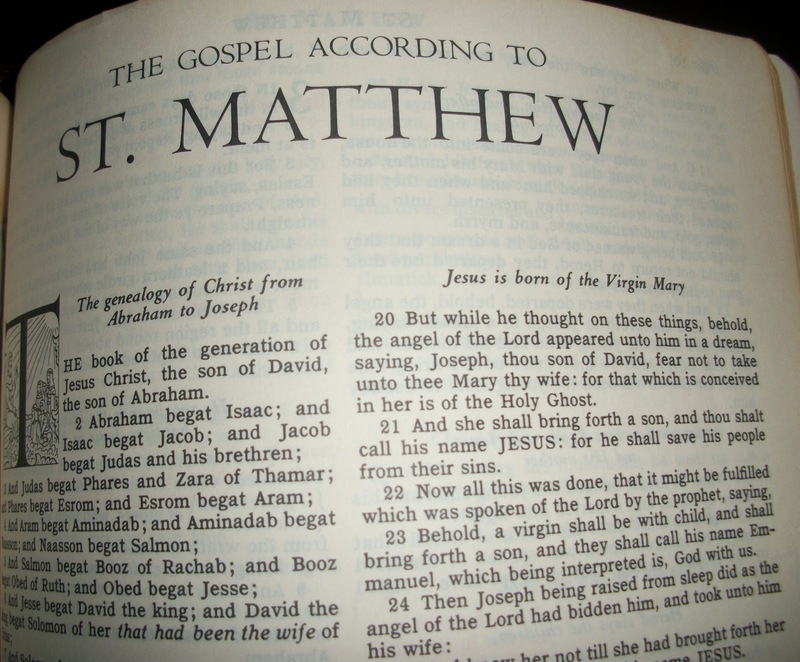 Then, throughout the next 3 chapters, as Matthew describes the birth narrative and the world that Jesus was born into, he refers to the fulfillment of prophecies 7 times. Matthew wants to prove truth in this unbelievable narrative. By pleading the words of the prophets, Matthew’s story is supported and likely more believable. And if Jesus is the one that fulfills those prophesies, then Matthew is also making Jesus seem more believable. 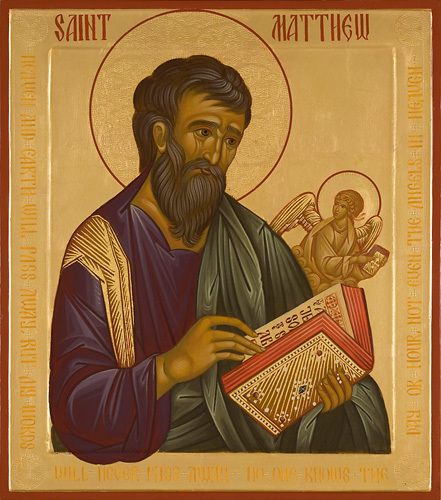 I had not thought about why Matthew spent so much time setting up the story of Jesus and referring to the proclamations of the prophets. Matthew wants his readers to believe his story. He wants to provide as much truth as he can. He refers to scriptures that are already familiar to the communities he is writing to so they can relate to his story better. For the first time, I can say the Matthew loves Jesus and really wants his readers to love Jesus, too.